Dog Kennel NKY | Is Dog Boarding Right for Your Dog? Is Dog Boarding Right for Your Dog? 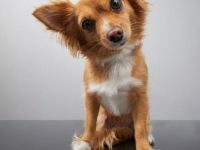 Dog Boarding Kennels: Is doggy boarding the right choice for your dog? There are numerous factors to consider before boarding your canine companion. experience can be especially stressful and may even create a lasting negative association. overwhelming and over stimulating; this is often the case for dogs that have never been out of their own neighborhood. you can help prepare your dog for a boarding experience. struggle most with the reduced human interaction then slowly start to introduce more alone time into his daily schedule providing him with ways to entertain himself. If your dog will have a hard time with the confinement, you can start to introduce the crate at first with very short periods of time. Lastly, start taking your dog to new places multiple times a week starting where your dog will be more comfortable such as empty lots, and working towards more stimulating environments like shopping centers. If you have any concerns or aren’t sure where to start find a professional dog trainer that understands your dog and your goals to help you get started. extra playtime and potty time. The type of activities offered are important, there should be a mix of physical and mental stimulation provided for dogs every day, but also plenty of rest time between to prevent exhaustion. Make sure to research with your dog’s needs in mind, especially when touring a potential facility remember to consider your dog’s perspective. A great dog boarding facility is willing and able to advise you on how to acclimate your dog and reduce his stress during stays at the kennel; some businesses will suggest or even require a test run to evaluate your dog’s comfort level. your dog, or you have a longer trip planned and you don’t think they will remain comfortable, in-home pet sitting is an alternative to consider.